For experienced, high-quality metal fabrication services, turn to Qualified Fabrication, Inc., based in Lucedale, Mississippi. When it comes to the harsh conditions of an offshore oilrig, a shipyard, or a heavy construction site, you need structural steel and other metal products that can resist corrosion and stand the test of time. 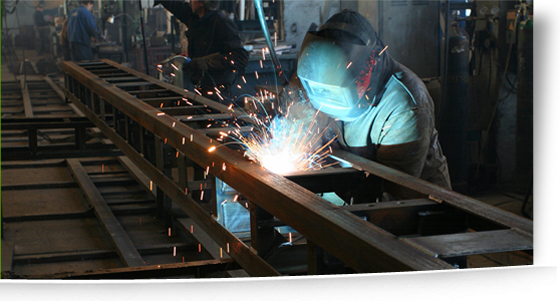 Whether you need custom pipe and steel fabrication, or maintenance welding, you can be confident in our level of service and dedication to quality. Your oil or gas facility runs smoothly and efficiently when you hire us. We construct pipelines and perform maintenance on-site in a number of gas and oil facilities. We have extensive project management skills to conduct your venture safely from start to finish. After 10 years in operation, we hold one of the best safety records in the business, with zero recordable accidents based on OSHA guidelines. We hold fast to uncompromising standards of personal safety, performance, and integrity to produce the highest quality fabricated products. Our owners bring a combined 40 years of industry experience to the table to ensure the satisfaction of our customers, as well as our suppliers and staff. We work closely with your civil or electrical engineering firm to meet your needs on every detail.